Do You Lack The Willpower To Stick To A Diet? If you are the kind of person who can start a diet, but can't stay motivated for long, then the 3 week diet might be for you. Our reviewer Karen has tested it out, click here to read her 3 week diet blog, find out how much weight she lost and whether she would recommend it. That fat loss diet is not for everyone, so we've reviewed a range of the most popular, well regarded weight loss programs so you can find something which will suit your individual needs. You may be searching for the fastest way to lose 10 pounds, or perhaps looking for a solution which will help you lose more weight over a few months. You may even be needing to look good without your clothes on! Whatever you're searching for, we have something to help you achieve the body of your dreams. For most women, how easy or hard it is for them to lose weight is determined by their hormones. Women who have Polycystic Ovary Syndrome find losing weight especially challenging. Indeed, one of the symptoms of PCOS is weight gain and great difficulty in losing the weight. We examine the causes of PCOS weight gain, the close relationship between polycystic ovaries and insulin resistance and explain how to use this information to lose weight successfully. How Does Your Diet Affect Your Mental Health? Have you ever noticed how food affects your mood? When we're stressed or depressed we tend to reach for sugary, fatty comfort foods, chocolate, ice-cream or perhaps pizza. But could that be actually making us feel worse? Could eating better make us feel better? Deakin University have a whole department called the Food and Mood Center. They study the link between diet and mental health. One of their recent studies took 67 men and women who were being treated for depression. This group of people who all admitted to eating a classically unhealthy diet, rich in sweets, salty snacks and processed meats. None of them ate much in the way of fresh fruit or vegetables. Half of the group were made to eat a healthy diet focusing on extra-virgin olive oil, nuts, seeds, eggs, fruits, vegetables, fatty fish and grass-fed beef. The other half continued eating their usual diets and as a were required to attend social support sessions. The group's symptoms were graded on a standard depression scale. After three months of healthier eating, those in the healthy eating group saw their scores improve on average by about 11 points. Impressively, a third of the healthy eating group now had scores so low that they were no longer classed as depressed. The other group who had social support but no special dietary instructions improved by only about 4 points and only 8% were no longer depressed. So not only can a typical Mediterranean diet loaded with fresh vegetables, fruit and lean meats, help you lose weight, it can also improve your mood. For anyone experiencing depression, talking to a mental health professional should be the first port of call. However, a change in diet is a complementary approach which could certainly help. www.weightodiet.com brings you the latest in diet science to help you become slimmer and feel better. We sort the fact from the fiction and find the best diets to help you achieve your weight loss goals. How many calories do you think you're eating? One of the hidden causes of obesity may be that people underestimate the number of calories they consume. Many people enjoy a plant based diet and there is a lot to be said for the extra vitamins and minerals which a varied vegetarian diet can provide. 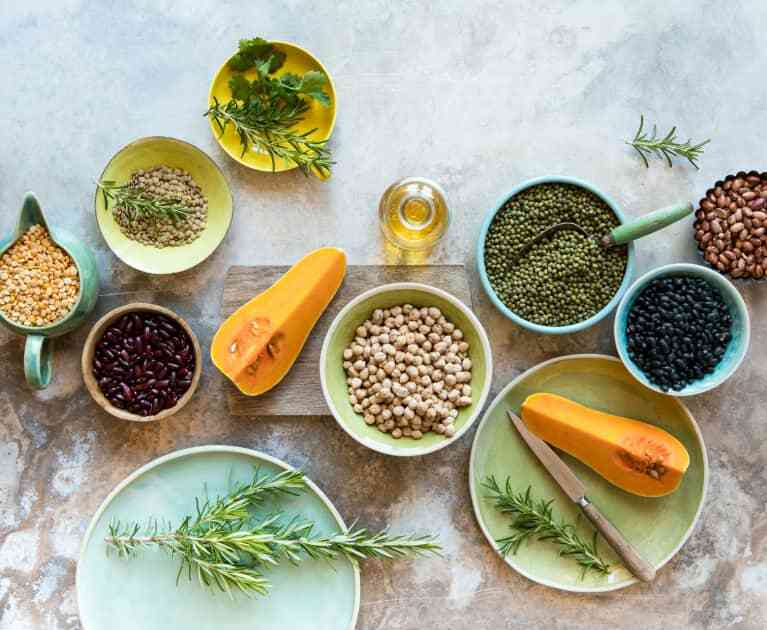 Whether you're already vegetarian or simply trying to add more plant based foods into your diet, one of the main challenges can be to find good vegetarian sources of protein. This problem is even more difficult if you are trying to lose weight. A high carb diet is much easier on a vegetarian diet, but trying to swap to a regime where you are eating protein at every meal makes meal planning much more difficult. Most people know that eggs are a great source of protein. Cheese also contains a significant amounts of high quality proteins. Cottage cheese is particularly good if you're following a weight loss diet. If you find the texture of cottage cheese unpalatable, then ricotta is a great, and very versatile, alternative. As a hypnotherapist and former personal trainer, I've been helping people lose weight for a long time. To help you lose weight in a way which suits you, I've reviewed some of the top diet and exercise programs and shared the most effective tips to help make your weight loss journey as quick and easy as possible. How many calories do you think you’re eating? What Is The Best Sweetener For Weight Loss? Are You Talking Yourself Out Of Losing Weight? Are Personalized Diets The Way Forward? Fast v Slow Weight Loss – Which Is Better? Disclaimer: The information on this website is for informational and educational purposes only. You must not rely on the information on this website as an alternative to medical advice from your doctor or other professional healthcare provider. Disclosure: WeighToDiet.com is a participant in the Amazon Services LLC Associates Program, an affiliate advertising program designed to provide a means for us to earn fees by linking to Amazon.com and affiliated sites.